This comfortable house is located on the marina with a private dock, a parking place for free and stunning views. From the look of the room you want to be overwhelmed. Separate toilet, 2 double bedrooms, 1 bedroom with 1 bunk bed for 2 people and 1 bunk bed for 1 person. Bathroom with shower, sink and toilet. It has an area of ​​150 square meters and a 50 square meter plot. Cozy little shopping center with 2 supermarkets, bakers, butchers, vegetable shop, flower shop at 250 m. Large cities such as Antwerp and Rotterdam / Breda can be reached in the course of 30 minutes. This was the first of three amazing properties we stayed in during our 2 week holiday in the Netherlands and it was our favourite! The house itself had a lovely, light open-plan living area, a well equipped kitchen, three decent sized bedrooms, a large bathroom and a further separate toilet. It also had two sun terraces; one on the side of the house accessed from the living area, which was sunny for most of the day and a second accessed through one of the bedrooms from which we enjoyed watching the sun set over the Marina. 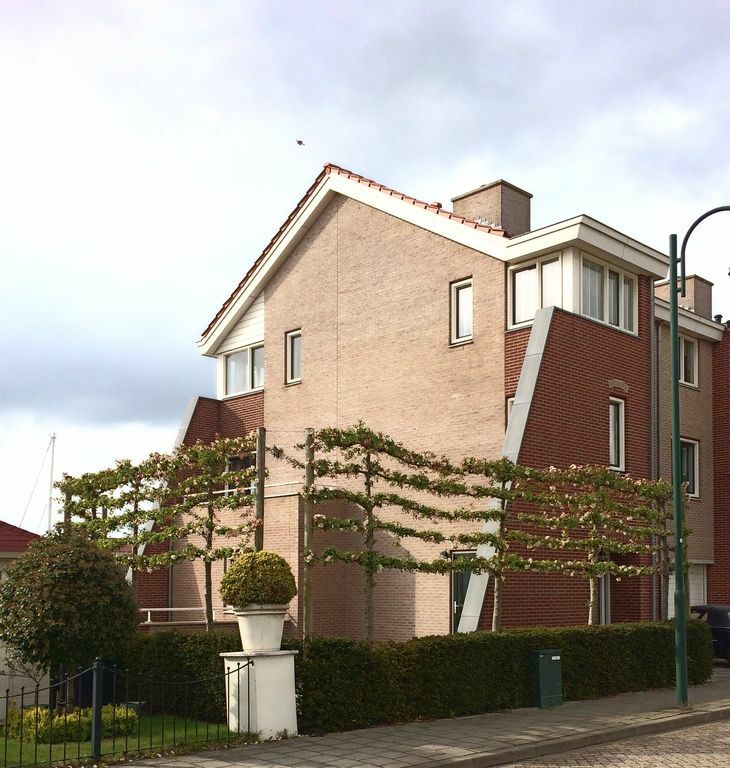 The house is on a quiet road and within a few minutes walk of central Tholen and a 10 minute drive to Bergen op Zoom, which is well worth a visit! The location was great as we were able to visit Antwerp, The Hague, Rotterdam and Kinderdijk all within less than an hours drive. We arrived at the house on a Sunday afternoon and had not been able to find a supermarket that was open on our way. Noa was great at helping us find one as we were not at all familiar with the area. We also left a couple of belongings at the house and by the time I had reconnected to wifi and picked up Noa's message to tell us, we were already in Amsterdam so she very kindly agreed to mail the items to us. We really enjoyed our visit to the Netherlands and are planning to go back next year as there are so many places we still want to visit. We would definitely stay at this house again if it is available when we return!! The house is in a nice quiet location on a Marina. A small shopping precinct and the town centre are all within easy walking distance. The house itself is light and airy and reasonably well equipped and has a parking space. Efteling theme park is within easy reach and is a great day trip for the family. There are many towns and cities nearby, we visited Middelburg, Rotterdam, Den Haag and Breda. We would definitely consider staying here again! Sehr gepflegtes und schönes Haus. Freundlicher Empfang. Es war wie Zuhause. Alles sauber, sehr schöne Aussicht.